Worried that your toddler isn’t saying many words? 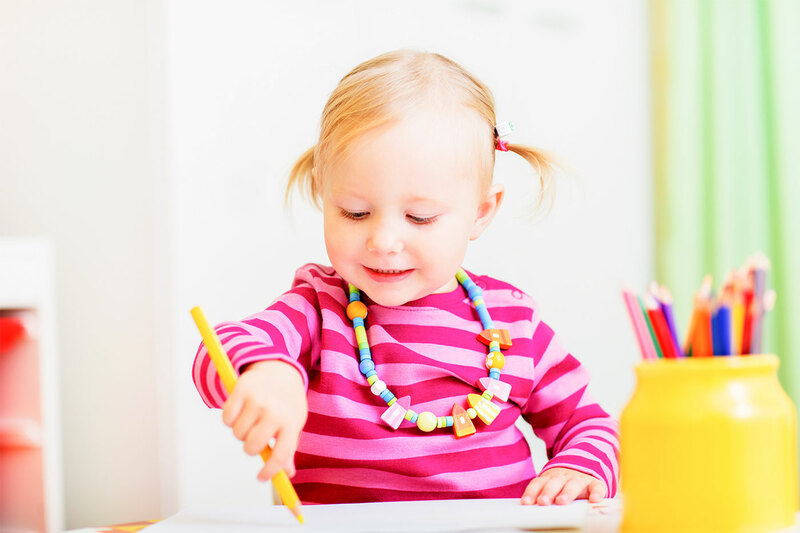 Learn how to encourage your toddler to talk with simple and effective activities. “Umm…” I stammered. “Maybe three?” Even after I responded I knew I wasn’t being completely accurate. You see, his three words weren’t words so much as babbles. He would say “mamama…” but without any direct correlation to me (or anything else, really), but because it sounded close to “mama” I counted it as a word. The other two were just as incoherent. The pediatrician was hoping he was saying three clear words, and that most 18-month-olds say an average of 10 words, with two-year-olds an average of 50. When I couldn’t even coax three clear words out of my toddler, I launched into full-on worry mode. “What could be causing his delay?” my husband and I asked ourselves. I Googled possible causes for speech delay (never Google anything while you are worried) and I came up with a slew of issues that I began to worry about. Is he social enough? How come he prefers books nowadays instead of cuddling with us? Why doesn’t he smile as often as his little cousin? The biggest downside wasn’t even the stress I put on myself or the hours researching symptoms my toddler hadn’t even been diagnosed with yet. It was my growing impatience and lack of faith in him. As you might guess, he had no patience for that kind of teaching. He brushed me aside and even got impatient with me. And that’s when I realized I needed to take a step back. I had to be his biggest advocate, not someone pressuring him to perform. I needed to guide him through these activities while respecting his learning curve. I’m thankful I was able to see that early on because I would’ve hated nagging him all because of a worry. Pressuring your child to talk was clearly not working, so what did I do instead? Whether your child is already saying a few words or not, he is communicating with you. His one word might be “ball,” or he could have no words and relies on pointing to the ball to say he wants it. Regardless of how many words he uses, expand on the way he has just communicated. You’re saying the main word, “ball,” and repeating it back to him in context. You’re expanding on how he’s conveying his thoughts with new words he can learn. Hearing you speak not only focuses on a respectful two-way communication, but allows him to listen to a wider vocabulary. 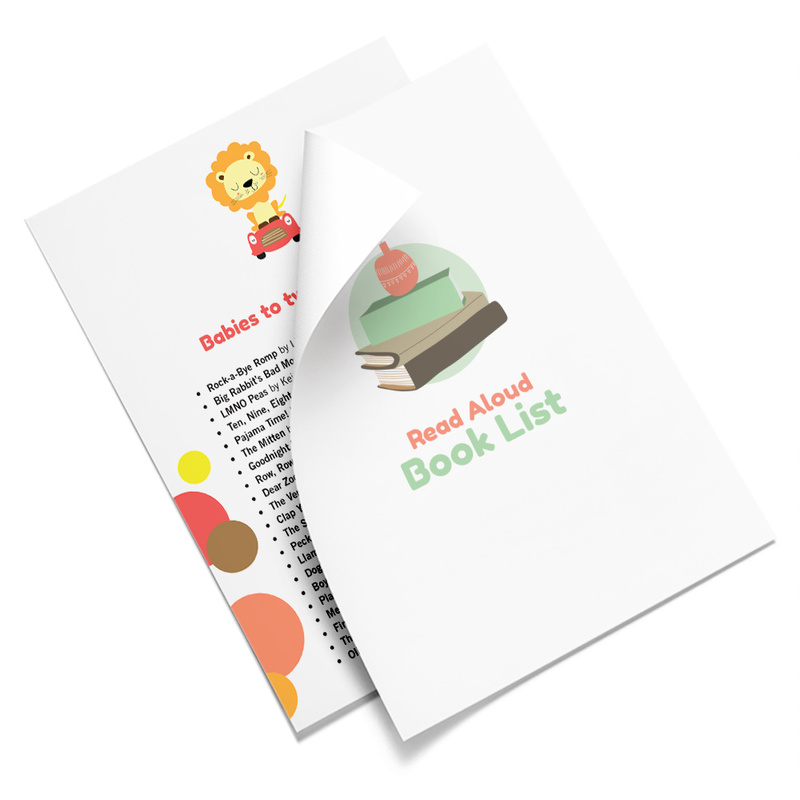 Expand on how your child is conveying his thoughts with new words he can learn. 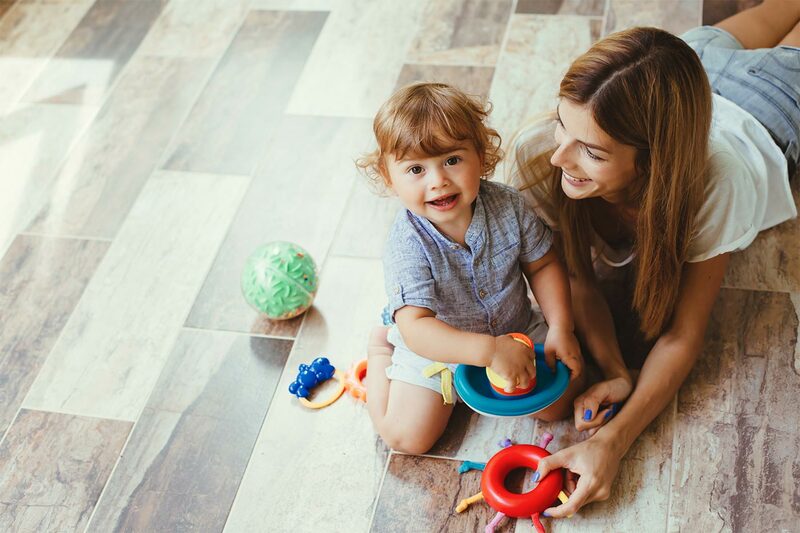 One of the best ways to introduce words to your toddler is to describe what he’s doing, especially during play. Think of yourself as a sportscaster narrating what you see happening without placing judgment on what you see. For instance, you can say, “You’re trying to put the triangle shape into the hole,” and not “That’s too hard for you” (or not saying anything at all and just doing it for him). Describe his actions so he can relate the words he hears to what he’s doing. And make your conversations meaningful. Look for clues that he’s interested in having you describe his actions, such as turning to look at you. If he seems bothered or would rather have silence or no interruptions, save the conversation for another time. Another option besides narrating his actions is to describe your own. Talk about what you’re doing, and again, in a realistic, non-exaggerated manner. You don’t need to fill every second with words, but do speak as you would if he were any other person with you. You can talk about the items you’re putting in the shopping cart, or how you’re chopping up carrots. You’re not showering him with words so much as communicating as you would with anyone else. Don’t make the mistake I did when I kept saying “ball” over and over to my toddler, thinking he’d magically repeat it after me. “Dumbing down” the way we speak to kids sounds disrespectful, as if they can’t understand or hear what we say. Instead, talk normal. Rather than exaggerating your words, speak slowly or use casual and conversational words. You’re exposing him to new words without assuming he has no clue what you’re talking about. And don’t babble back if your toddler says a string of incoherent sounds. This not only diminishes what he’s trying to communicate, but doesn’t provide the words he can model. Rather than exaggerating your words, speak slowly or use casual and conversational words. Many of us know our kids so well that we can anticipate every want or need. We know to provide their cup of water at every meal without bothering to ask them if they want it. We have everything on hand long before they even have to ask for it. Trouble is, anticipating their needs doesn’t provide the opportunity for your child to communicate. Let’s say you know your child wants to play with Lego but he can’t open the box himself. In the past, you may have opened the lid for him the minute you saw him heading to the box. 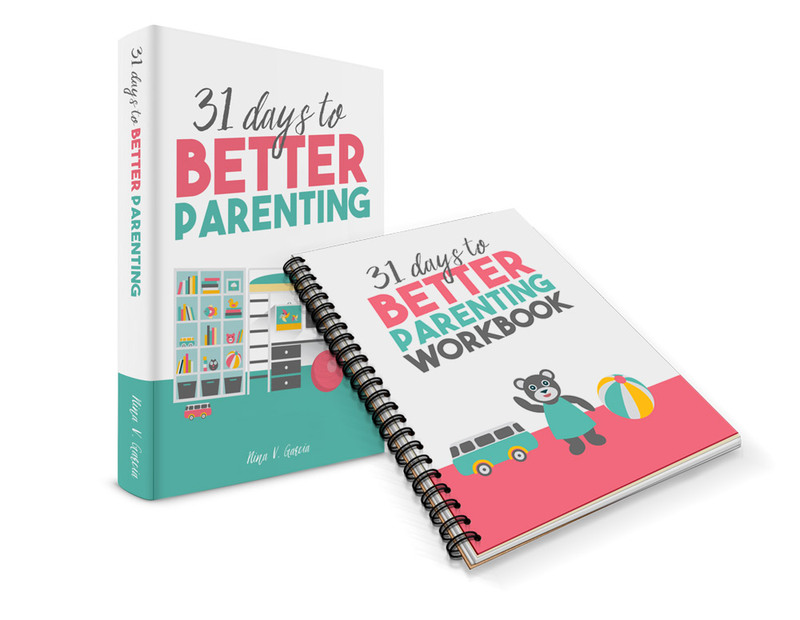 Give your toddler an opportunity to respond as well, whether in words or gestures. There’s no need to repeat the word “orange” over and over. You run the risk of dumbing down your conversation. 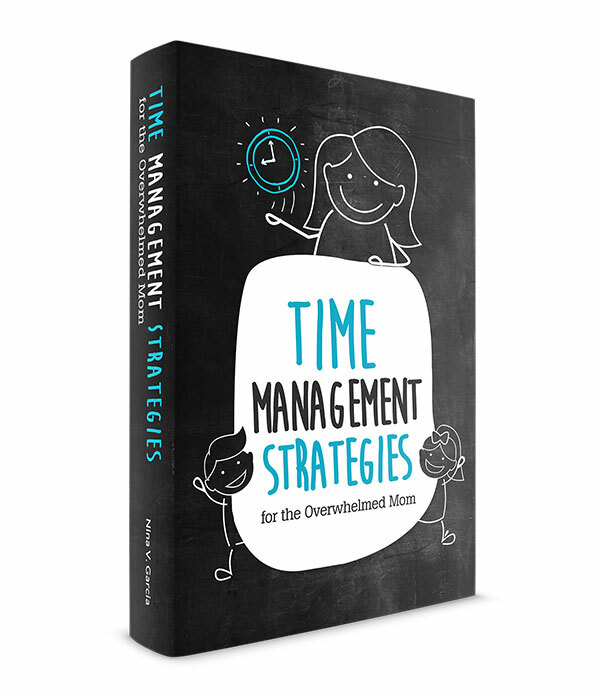 Instead, find a balance between labeling the items your child sees with having a normal conversation about them. Mention the items you talk about in your conversations in a natural way. Just because kids can’t say words, doesn’t mean we should take over the conversation. Wait for your toddler to respond, in whatever way he can. If that’s a word, a grunt or a pointed finger, he’s communicating the way he knows how. Give him the chance and the time to respond to your side of the conversation. Then, listen to what he says. Don’t assume you know what he wants and instead listen to his response. He learns that a conversation is a two-way communication between two people, not one. And make eye contact when you speak. This forces you to take into consideration his point of view and shows you respect his time and effort. As tempting as it is to test or correct your toddler, don’t. Neither will help him speak and can even discourage him from making progress. For instance, don’t go through items in your home testing to see how well he can say them. You’ll stress yourself out more if he can’t come up with the words or mistakes them for another (trust me, I know). 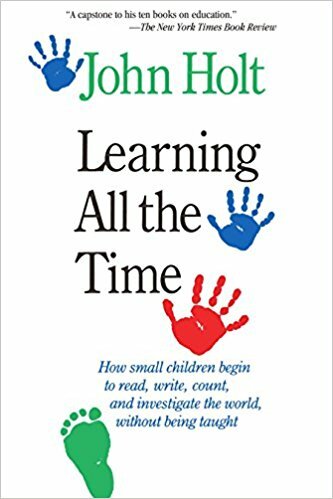 “When children first learn to talk, they will often use the name of one object to refer to a whole class of similar objects. In other words, when a toddler refers to every animal as a ‘dog,’ she isn’t indicating that she doesn’t know the difference. Your toddler calling the cat a “dog” is an accomplishment on its own. He has somehow discerned that four-legged animals look similar and has categorized them under a word he can say—”dog.” Don’t discount the progress he has made because he’s only using one word for all of them. I continued to work with my toddler’s speech development, pushing the worry aside and focusing on encouraging him in a positive way. And one day, he did it. While eating bananas, he said, “Nana.” Leave it to my food-loving toddler to assign the beloved first word to a favorite fruit. The flow of new words erased all those months of worry. I began writing his new words until the list grew too long that I stopped keeping count. Turns out, I had subjected myself to needless worry. After all, worry has never done me any good especially when all my toddler needed was some time and help. So yes, I should have asked, “Can you say ‘ball’?” but with a smile, a pair of gentle eyes and a more patient, encouraging and worry-free attitude. 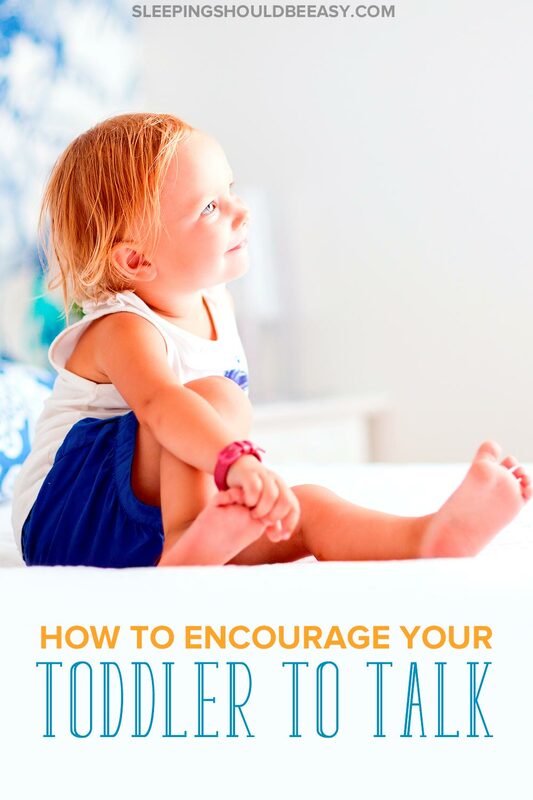 Tell me in the comments: What are your best tips on how to encourage your toddler to talk? Thank you so much for this post. I had a near identical debilitating moment of anxiety for my son yesterday after our ped mentioned the words “speech therapist.” I questioned all the books I’d read, all the matter-of-fact breakfast narrations in his high chair. I even decided to stop reading books in Spanish in case I was confusing him! Now that I’ve taken a breath, I’ll return to the happy, respectful exchanges we’ve always had. Thanks again! Hello, looks like I am facing similar experiences. Would you mind sharing what age your son finally had a flow of words after “nana”? Hi Farlin! It took about 3 months for him to say more words and meet the normal standards. My son is 18 months and he hardly talks. I mean mama and dada are often, but we’ll get a word randomly every once and a while then never again like hot, bread, dog, whatever. But he has NO interest in repeating. After one or two words started did he seem to learn faster? Also my son doesn’t point and really doesn’t like waving even though he has. I’ve been stressing over this way too much so your advice has put my mind at ease, thank you! Hi Megan! My son did eventually start talking more and more once he got those first 10 words down. Slowly I’d notice more words, and months later it got to the point where it felt useless to even list them anymore because they were so many. If you’re at all worried, I would double check with your pediatrician, as he or she can better assess what sort of resources your son would need, if any. Our pediatrician was a big advocate for early intervention, where she would rather be safe than sorry, so even though nothing ended up being wrong, it did put my mind at ease to start the process with getting a speech therapist just so that at least we had everything in place should we need those resources. But regardless, definitely don’t stress. I know, easier said than done! Rest assured that most of the horror stories we read on the internet about any ailment is likely the extreme end of things, and that you rarely hear about good news because once people realize they’re fine, they rarely go back online to update their status. This is why I tell myself to stop Googling things when I get worried 🙂 But truly, the best way to put your mind at ease is to check with your pediatrician so that they at least know your concerns and can tell you the next steps to take if any. Hi, at what age did he really start to carry a conversation. My son is about 2 1/2 and he says the majority of the alphabet and can count until 10 with some numbers between 20. He also knows a few shapes. But he doesn’t really talk much. At about 2.5 years old all three boys were able to communicate pretty understandably. It wasn’t so much that they knew the same words as older kids or that they could speak in complete sentences, but we could understand each other fairly well. What does his pediatrician say about his speech? I’m feeling a bit defeated with my daughters speech, maybe she just needs more time, but by 18 months she had pretty much no words. Her pediatrician recommended by age 2 if she was still “behind” in speech that we should see a speech therapist. Well, by 19ish months she said “Nana” for banana and made that connection, I thought for sure from here on out we would start seeing a ton of words, she did have a few more after this such as “mama”, “again” “nene” for bunny she has pointed to a cow and said “ooo” for moo and she has said a couple other words. By 21 months old she has about 8ish words that she has used but doesn’t necessarily use on a regular basis. Am I being too hard on her, worrying too much, is that a lot of words within 2 or 3 months? I do all of these things with her, narrate what she is doing, talk to her, read to her, play games with her, I’ve looked up speech therapy games even so i could try some of it at home and see if it helped. I’m not worried as far as her other development, and she does communicate by pointing or some sign language, she listens to commands and she understands what everything is. I just wonder if it’s time to bring her to a speech therapist for early intervention, or if I should give her more time. My toddler is t too bad at saying words or learning new ones, but he doesn’t talk very clear for a toddler his age (will be 3 in November). I see other kids his age that are talking in better sentences and clearer than he is and I just get worried :(. Thank you so much for this post. I’ve spent the last few days after my sons 12 month (seems a bit early to be already talking about a delay??) trying to find ways to make my son talk. And I did the same thing. SAY BALL!!! It makes me feel less crazy. Thank you. I will try to be patient. Thank you so much for this post! I almost cried. I was worried sick lately when I saw my friend’s toddler who is just a month older than my 18 month old talking while my son hasn’t said any meaningful word apart from mama and variegated babbling every now and then. I was so worried and of course I googled a lot. Thank God I found this post. I love your word there “I should be his advocate…” Yep, just what I need. Thanks again! I’m so glad the post helped, Farah! If there’s one thing I learned, it’s that worry never gets us anywhere 😉 Hopefully this has put your heart at ease, and if anything, kept you calm and centered so that you’re present with your little one, no matter what happens!